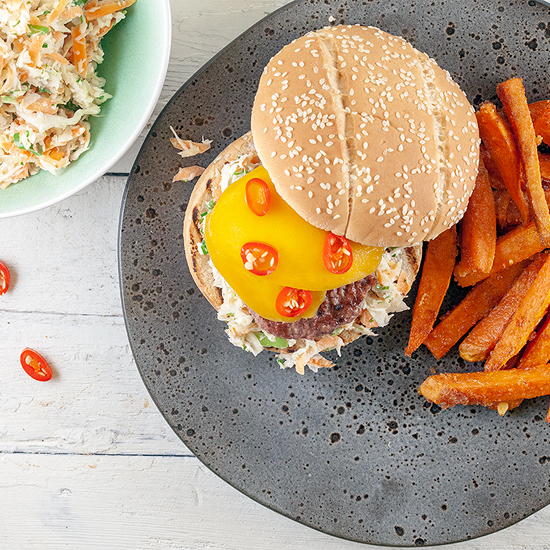 Start with the sweet potato fries. PEEL the mango and divide into slices, the easiest way is to run you knife on 4 sides until you’ve reached the large pit in the middle. REMOVE the seeds from the chili pepper, if you like a milder version, and divide the pepper into slices. 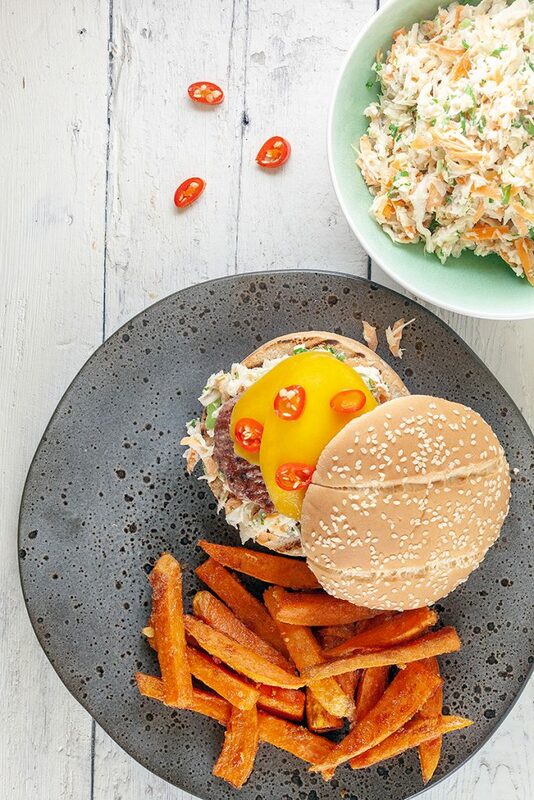 DIVIDE the buns into halves. HEAT a grill pan on high heat and start with the buns on one side. COAT the burgers with a bit of olive oil and grill them on both sides for a few minutes. 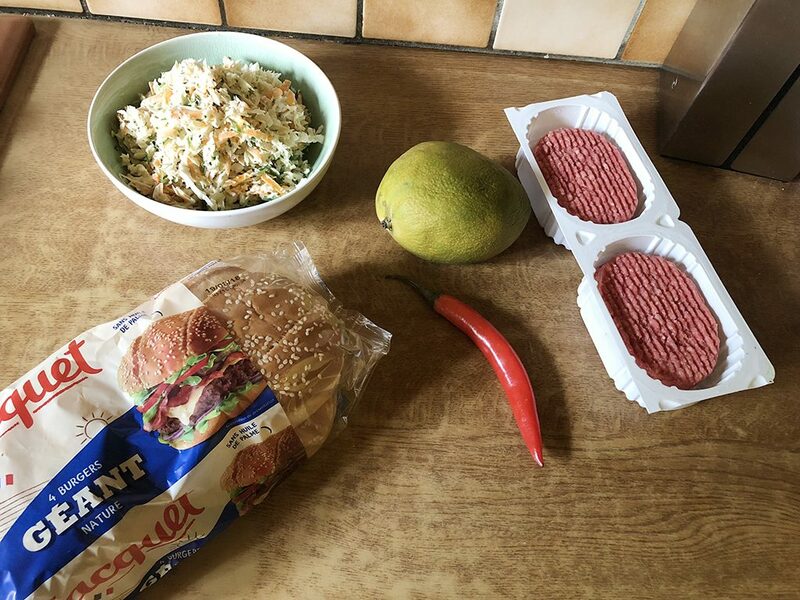 Start with a few spoons of cabbage salad, then a burger, mango slices and top it off with chili pepper slices and the bun on top. 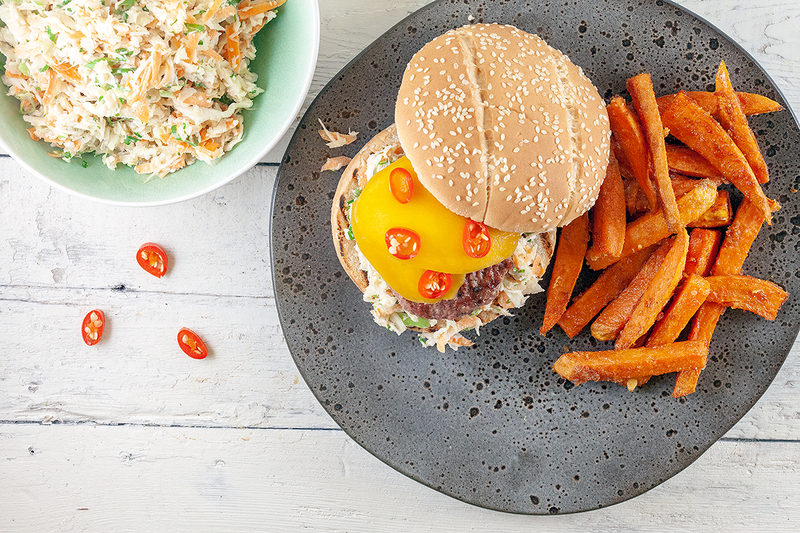 SERVE with (sweet potato) fries and enjoy!